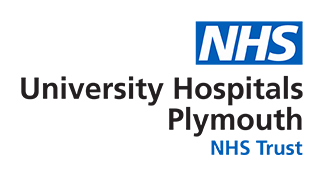 Shaugh Ward is a 33-bed Orthopaedic Major Trauma Unit that supports all patients within the South West Peninsula. Nurses are empowered to deliver high quality safe expert care and this empowerment comes from an excellent teaching-based ward ethos that recognises staff potential and nurtures needs of its staff through a supportive network. Sharp Ward is a 29-bed Fractured Neck of Femur Unit and patients are supported by the services of an Orthopaedic Geriatrician Consultant. Together nurses and medical staff ensure that high quality dignified care is delivered to such a vulnerable client group. Norfolk Ward is an Elective Orthopaedic and Spinal Unit that runs a highly successful ERAS (enhanced recovery after surgery) Programme. ERAS ensures that patients are in control of their rehabilitation and nurses work alongside patients to ensure that they reach their maximum potential in a supportive progressive goal setting way. TOR offers all Qualified nurses the opportunities to reach beyond their defined goals in a cohesive collaborative atmosphere. Weekly teaching sessions are delivered to improve nurses knowledge and skills to ensure that they feel confident and competent to deliver expert safe patient quality care. A clinical educator is available to support and enhance needs, working alongside to offer guidance and reassurance to promote individual learning. Rotation is available so that all aspects of orthopaedic nursing care can be explored to ensure that the perfect niche is matched to your personal needs. TOR put patients first and to do this we recognise the essential contribution our staff make to ensuring quality care so come and join us today give us the opportunity to empower you as it will be the best career decision you will have ever made.